Critic Keith Phipps once said, "movies are more than just those images that flicker for a couple of distracting hours then disappear...they don’t end when the lights go up." In that spirit we carry on the conversation with reviews, lists and a podcast. Apologies for the slight delay, Movie Lovers! 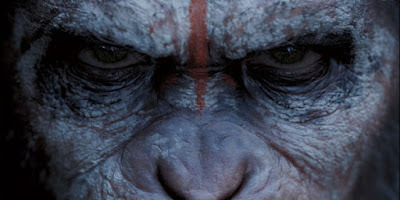 In this episode, Shanna and Jeff review War for the Planet of the Apes and countdown their favorite movies from 2010. You can find more episodes on iTunes. Kindly leave us a review! Welcome to another episode of The Movie Lovers! We have reached the halfway point in the year, so it's time for Jeff and Shanna to assess the year so far. Shanna offers a tip on renting movies. They also countdown their favorite movies of 2011. You can find a new episode every two weeks. Next time on the Movie Lovers, a review of War for the Planet of the Apes. Look for it on 7/25. Subscribe and leave a review! Or go to www.thegibsonreview.com for past episodes and more!